Family dinners are sacred, but a faulty range can put a halt to that quality family time quickly. A functional LG range is something we all take for granted until it stops working. 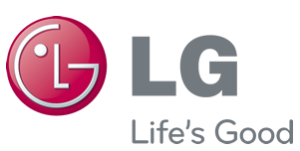 If yours isn’t working properly, it’s better to call an LG range repair professional in the Dallas-Fort Worth area such as Appliance Champion as soon as possible. Don’t risk spending too much time and money trying to fix the problem yourself, because you could end up missing a few more cooked dinners than you planned and even worse, replacing the entire unit. Whether you have a traditional range or one of today’s innovative ranges, there are some complicated components that the average person shouldn’t deal with. You could spend a lot of your time researching how to fix your LG range yourself, but who has that kind of time? And the reality is every range is different, so chances are fixing one problem could lead to another one later on. When you need to repair your LG range, don’t waste time and money trying to fix it yourself. Our Appliance Champion repair professionals have years of experience and can have your ranged fixed correctly and in no time. There is a reason we have the title of Top Rated Local Appliance Repair in the Dallas-Fort Worth area. We at Appliance Champion pride ourselves in offering unbeatable five-star performance, and same-day stove repair. When you need something like stove or range repair you need to know that the person who shows up at your door knows what they’re doing. When you call us you can rest assured that the stove repair tech that we send is factory-certified and has been thoroughly vetted. We have high standards for ourselves and expect our stove repair experts to truly be experts and exceed your expectations. Appliance Champion offers our top-rated services for the entire Dallas-Fort Worth area including North Richland Hills, Keller, Southlake, Westlake, Grapevine, Bedford, Arlington, and Saginaw. Call us for range repair that you can count on!